Hello and welcome back! It’s time for another round of my new series, Tool Tuesday, where I break down the differences in some tools that used to confuse me when I first started building. 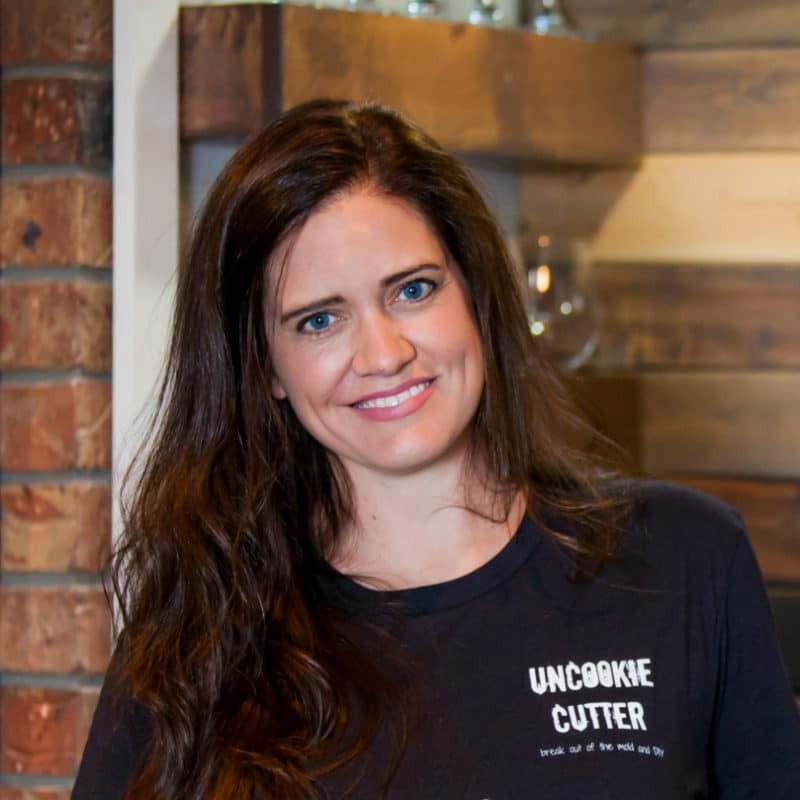 Last month I broke down the difference between a miter and circular saw, which you can read about here. 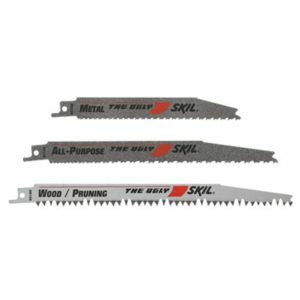 This month, I’m looking at two saws that I don’t quite use as much, but are still essential for my DIY projects. 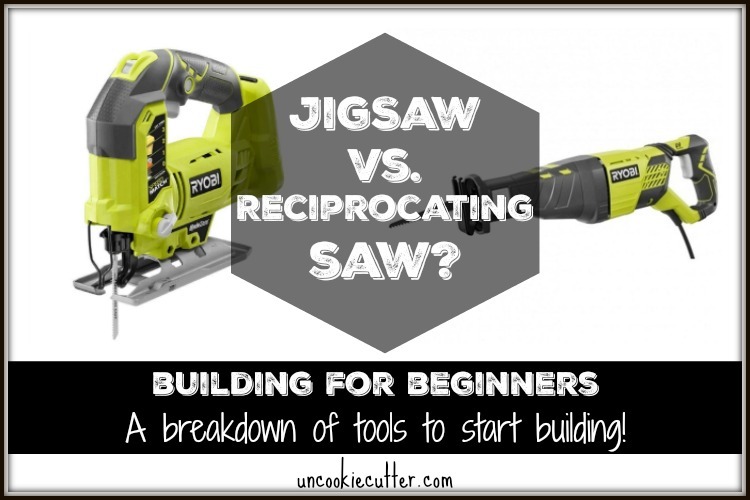 So, what’s the difference in a reciprocating or jig saw? Let’s take a look. 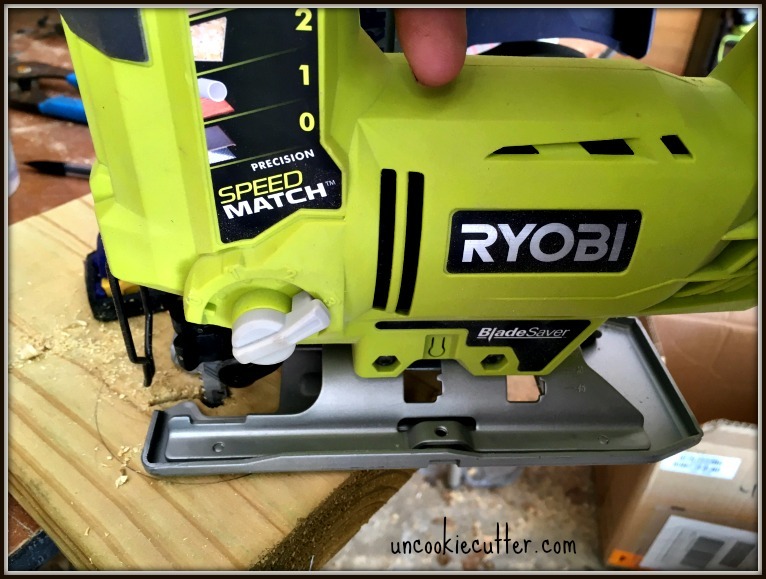 Okay, so what do you need – a reciprocating or jig saw? Well, it totally depends on the project. These saws have a similar function but are actually used for two very different things. The reciprocating saw I mainly use for yard work. I have used it to cut trees limbs and break down our deck when we were ripping it out. 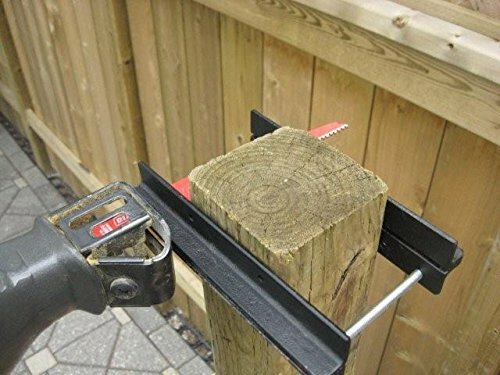 It’s also great for breaking down pallets, so if you love all those pallet crafts the reciprocating saw will save you tons of time. We first go ours when we were taking a wall down in our last house and it was essential in cutting out the 2×4 studs. The jigsaw is great for more detailed work. If you wanted to cut a hole from the middle of a piece of wood, or a nook out, then you would need a jigsaw. 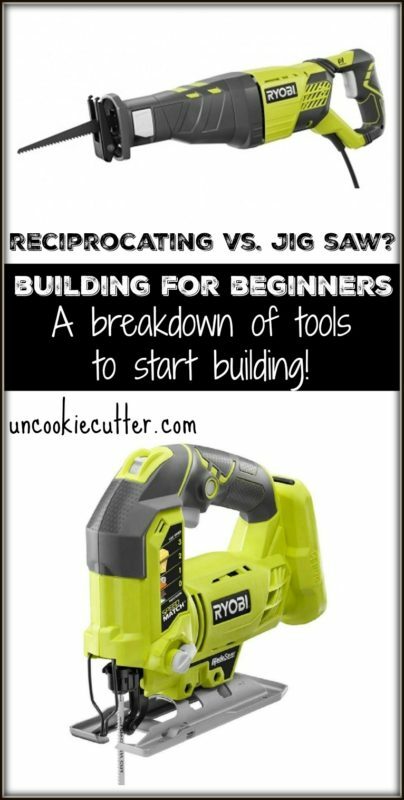 WHAT TO BUY FIRST, A RECIPROCATING OR JIG SAW? This is a tough one, but since I bought my reciprocating saw first, I’d say that is the one I’ve probably gotten more use out of. This one really depends on the type of projects you are going to be doing more of. 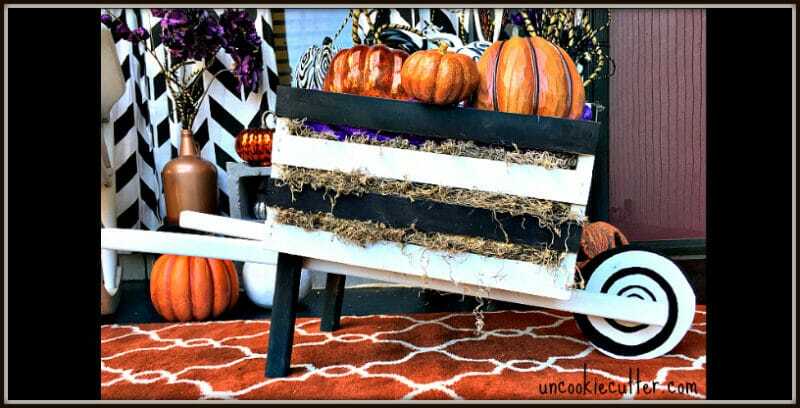 Would you rather rip up a pallet and do some farmhouse styled projects, or are you looking for more precise projects? 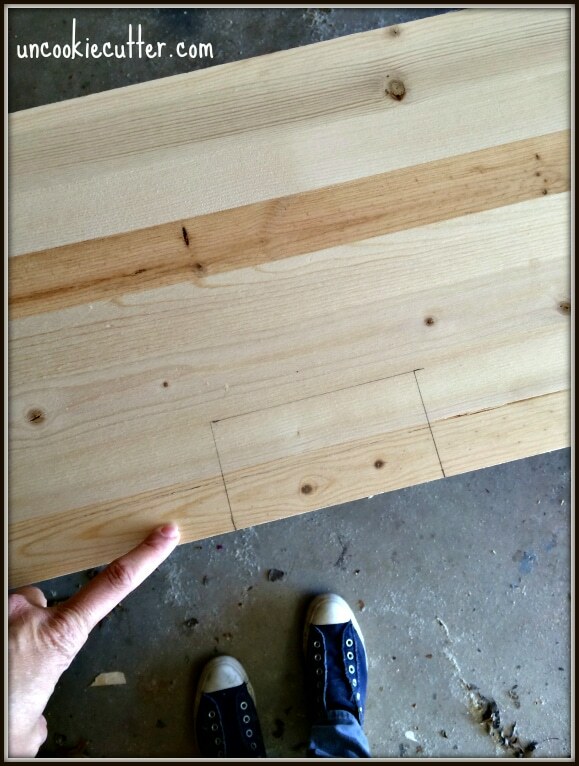 To build bigger pieces of furniture, you are more likely going to need a jigsaw. I’ve never once used a reciprocating saw on a piece of furniture. I have ripped up decks, ripped out walls and cut down limbs and small trees with it though. 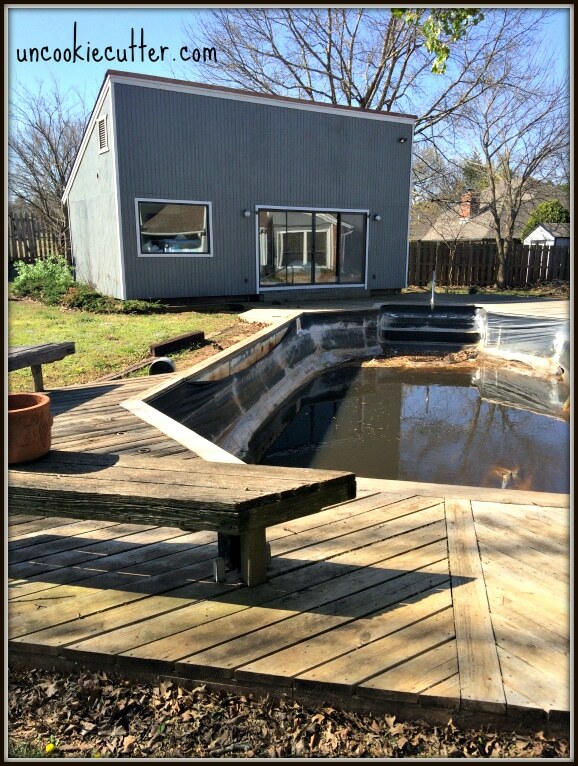 We ripped out this monstrosity of a deck last year with just the reciprocating saw and a crow bar. One of the great things about a reciprocating saw is that, with the correct blade, you can saw right through nails and screws or other small metal things that are in your way. 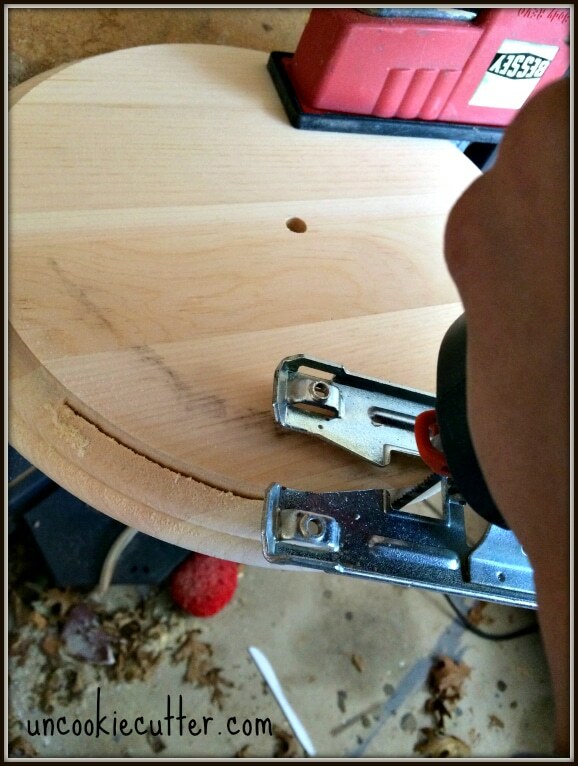 I used my jigsaw for plenty of crafty projects, like cutting out the wheel for this wheelbarrow. Or pretty much anytime I cut out a circle like I did for this Restoration Hardware inspired tabletop clock knockoff. But I also use it for more functional stuff, like cutting the hole out for the tap in the home bar nook. There doesn’t seem to be much difference in reciprocating saws, and they are fairly cheap for what you get. We have a very basic Skil one, which has been handy. 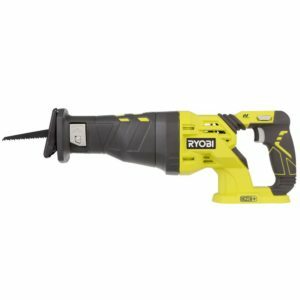 Truth be told though, if I were buying today, I would buy the cordless RYOBI ONE+ version. 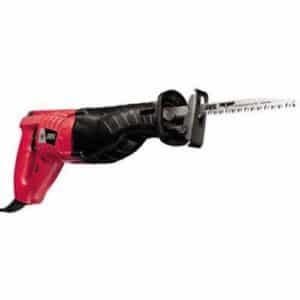 Since we use it in the yard so much, I think having the cordless version would be so much more handy. 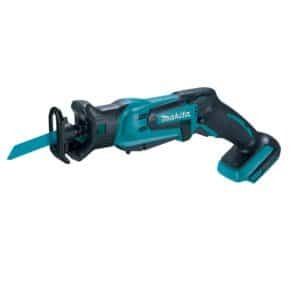 Makita also makes a cordless one that got great reviews. Kind of the same thing here with your different jigsaws. I can attest for the fact that the cordless jig saw is so much more convenient. The first one I ever bought was at a yard sale for $3. Now I have the RYOBI ONE+ version and it is super easy and accurate. 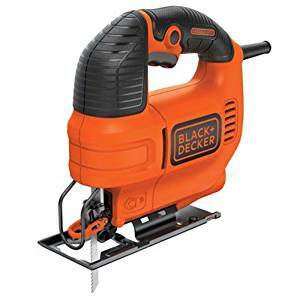 The Black & Decker one got rave reviews, and it is super cheap – that might be a great one to start out with. The Dewalt one is your mack-daddy, with the most power and it does bevel cuts as well. 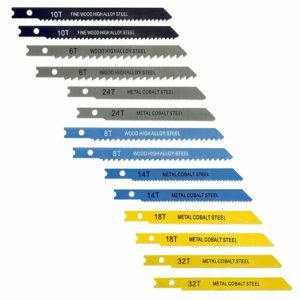 There are a number of different types of blades you can get for reciprocating saws, and you’ll probably need a ton if you are ready to get to work. I can grab these at Wal-Mart just up the street. Make sure you look at the material you are going to be cutting and get the appropriate blade. They are quick and easy to change out and you can get them for cheap. I stumbled across this awesome little idea, although I’ve never tried it, I’m going to. 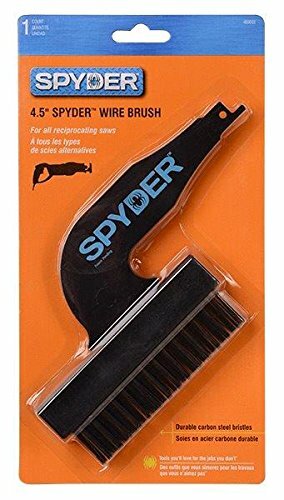 It’s a little brush attachment for scrubbing and cleaning up projects with your reciprocating saw. I may use this all over my house! I really like the idea of this saw guide as well. So cool, because usually the cuts I make with this thing are rough and crazy. This looks like a great idea! The main thing you’ll need to go with a jig saw is extra blades. If you are anything like me, you’ll fly through blades like crazy. Make sure to pay attention and get the blade you need. With a jigsaw especially, there is a huge difference in blades. There are “faster” blades for making more rough cuts, but because most of my cuts with the jigsaw end up being more precise, I tend to go toward the “extra clean” blades. There really is a huge difference in the outcome here. Another thing you might consider getting for your jigsaw is a fence. Like I mentioned last month with the circular saw, a fence will help you make straighter, more even cuts. I actually don’t have one for my jigsaw, but I’m considering ordering one because I usually don’t’ make very straight cuts. These seem to get good reviews, and I love that you can attach them to the center and cut out an even circle. Score! So, that’s about all I can say about whether or not you should get a reciprocating or jig saw. Have any questions? Are there any tools you are wondering about but don’t know where to ask? Sound off below! It’s crystal clear now: I need a saw guide! I have several much needed cuts for our backyard deck/fences/etc that a reciprocating saw is ideal for but it bugged me getting that rough cut that I had to blast the belt sander to fix. I have no idea what I’m doing when it comes to repairs and renovations lol. I definitely needed this post. Thank you! So glad!! I never know if these things are helpful or not, I just know I couldn’t get a good idea of what saw I needed when I first started. Thanks for stopping by Missy! You articles are laid out well. Not too much detail. Just enough to keep us reading. Most sites have way too much info and it’s too easy to skim or skip. 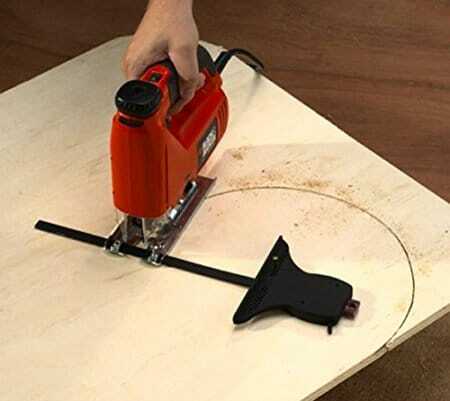 Pretty cool tips for making straight cuts and perfect circles. I have a small collection of 18V Ryobi stuff. So the 18V version of the reciprocating saw has enough power to “git-er-done”? 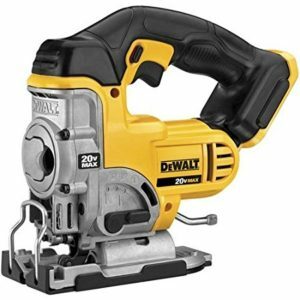 I have a plug-in DeWalt version but cordless would be nice. Also, I need to go back and read your article on miter saws. I’ve been needing one for awhile but don’t know much about the various options. Keep up the good work on the projects! 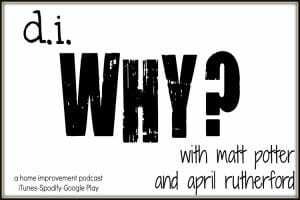 What are you going to do when your house is fully remodeled?? Yes, Miter saw is my favorite. I’ve got a new one coming tomorrow, my old one finally bit the dust. 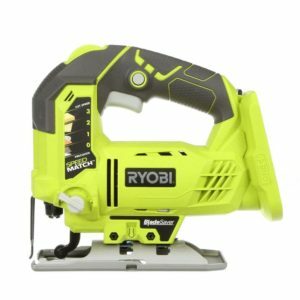 I don’t have the cordless Ryobi one, I have a corded one as well, I was just thinking that would be a really nice thing to have a cordless version of since we use it so much. Thanks for the feedback Dan, glad it was helpful and we will never be done with this house :). I prefer reciprocating saw over jig saw because anyone can do more household work with a reciprocating saw. This post has good explanation. I prefer Jig saw.